Excellently maintained and meticulously cared-for is how it is described, with a Fenced Yard, Storage Shed and a Heated Pool, Incredibly huge 2nd and 3rd bedrooms and a DEN. upgraded vinyl Plank floors, Wood burning Fireplace, vaulted ceiling, wired surround sounds system, Storm protected double front door. Very Nice kitchen with built in desk area, Granite Counter tops, Stainless Steel Appliances. Absolutely beautiful ! A total of 2890 Sq. Ft. with over 2100 Sq. Ft. in living area. Huge Master suite with an original 4 feet Builder's Extension to Master suite which has a jetted tub, double sinks, double closets and exit door to the lanai/pool. 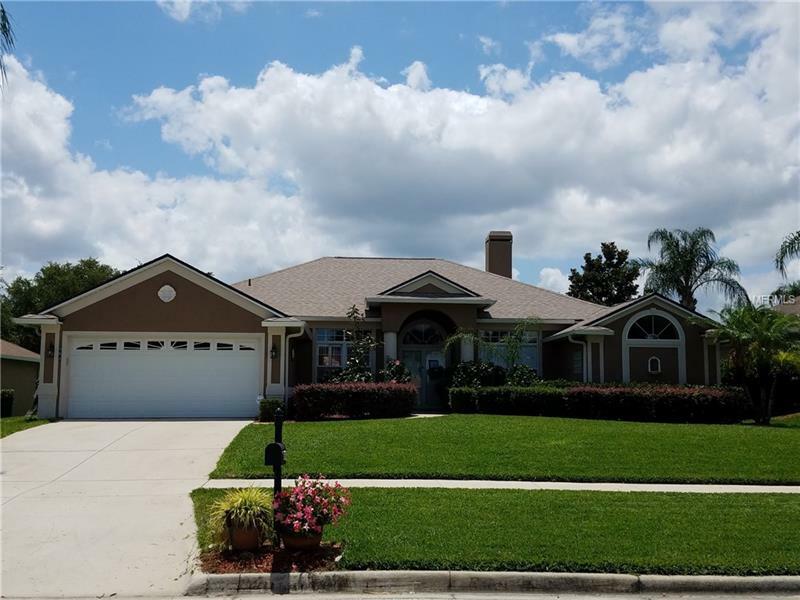 A beautiful Open Floor Plan in this Amazing home awaits you in this Gated community called College Park- This home has it all. Come see it today !